The Mars texture map has been generated from a series of large scale scenes as acquired during the Viking Orbiter missions. Planetary Visions has cloud-cleared and mosaiced the scenes, and performed colour and brightness matching to ensure that there are no visible scene boundaries. 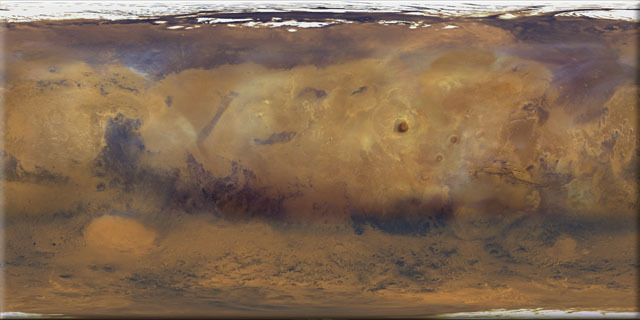 The result is the highest resolution Mars texture map available today - unlike other Mars texture maps this mosaic is not merely an airbrushed artist's impression.